I have another Christmas card to share with you all today. For the background I use the new Concord & 9th Snowflakes Turnabout stamp set which was released in September. I love the turnabout stamps as you have the option of either using one color or multiple colors when creating your background. 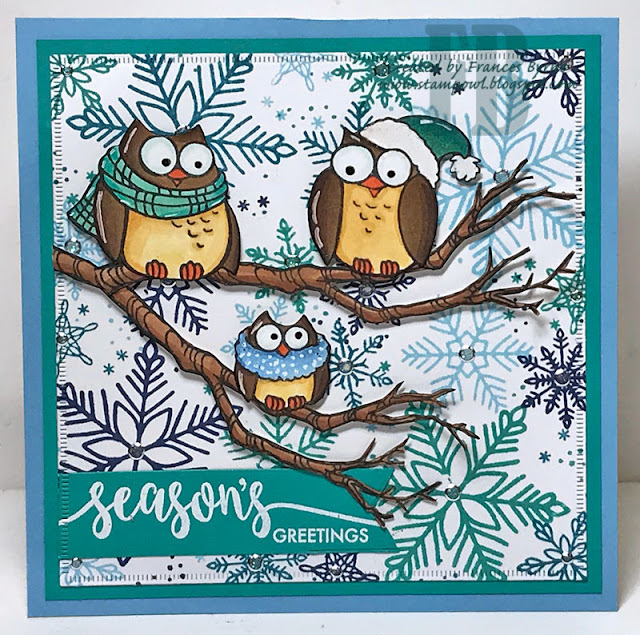 For the background I created for this card I used 4 different colors of blue or blue/greens using Catherine Pooler Ink Pads. I added Clear/Silver Glitter Dots Peel Off Stickers to the centres of each of the snowflakes. 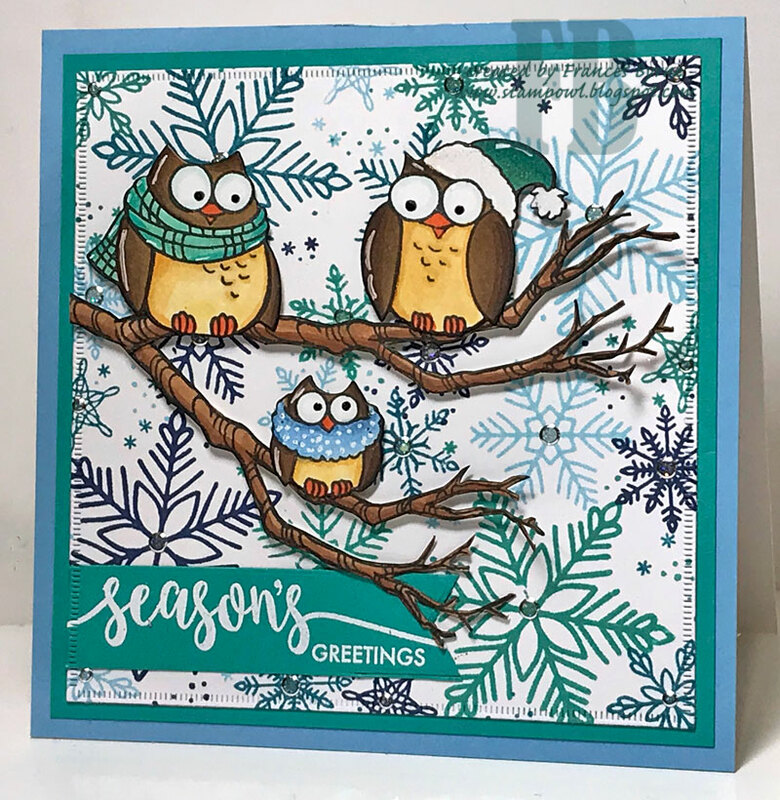 To decorate my card I used the owls from Stampendous Owl Be Home stamp set. The sentiment is from the Avery Elle Snowflakes stamp set. 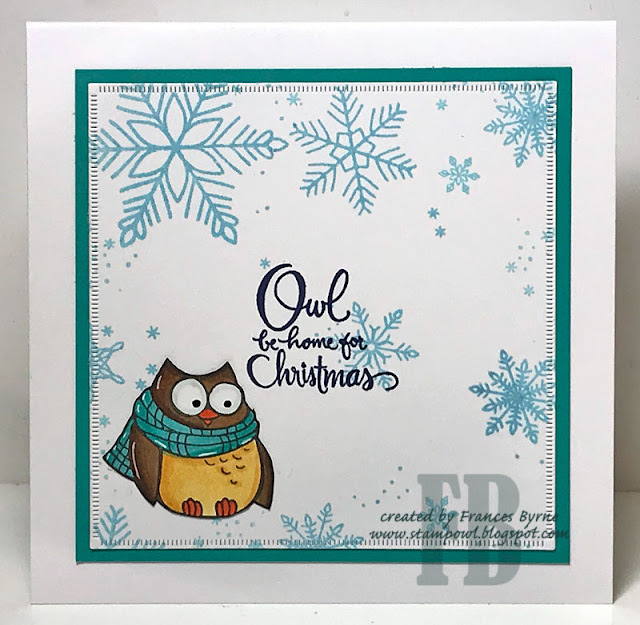 For the inside of the card, I used the Concord & 9th Snowflakes Turnabout stamp onto the card and added an owl and sentiment.